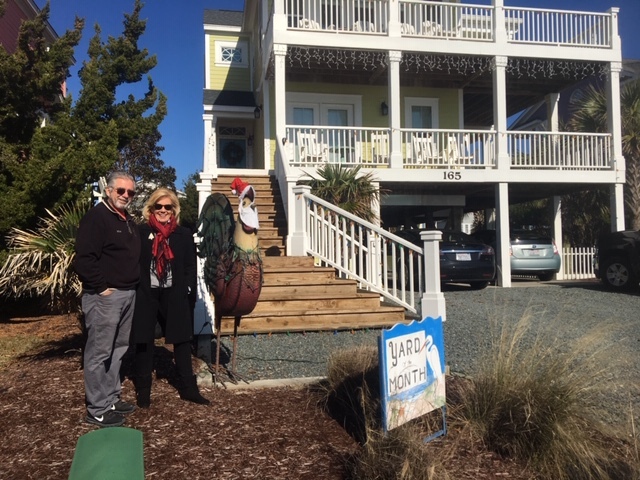 The Holden Beach Beautification Club awarded the December Yard of the Month to Mike and Dianne Hebert of Ocean Boulevard East. The Christmas decorations consist of multiple lights in all levels and an eclectic Santa Rooster! Thanks to the Hebert’s for all the work they did to brighten our holiday and congratulations on a beautiful display! This entry was posted on December 21, 2018. Bookmark the permalink.